LAST KNIGHTS co-starring Clive Owen and Morgan Freeman was officially screened on October 28 at Roppongi Hills, Tokyo and other locations in the Panorama section of the 28th Tokyo International Film Festival. 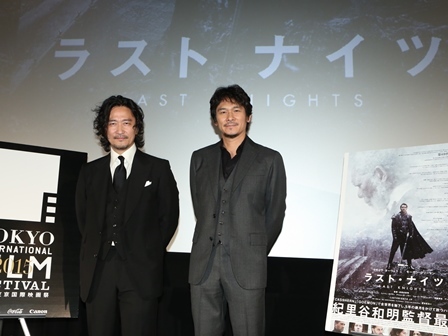 Director Kazuaki Kiriya and actor Takeshi Ihara gave the greetings from the stage. LAST KNIGHTS will be released nationwide from November 14.